Stopping bleeding as fast as possible is vital to save lives when severe trauma has occurred on the highway or the battlefield. Several techniques are used to control external bleeding, however surgery is currently the only way to stop blood loss within the body from injury to internal organs. A team of scientists have created nanoparticles capable of assembling wherever an injury happens in the body to help it develop blood clots. These nanoparticles have been verified in test tubes and in vivo. Their findings are to be present at the 252nd National Meeting & Exposition of the American Chemical Society (ACS). ACS, the largest scientific society in the world, is hosting the meeting. It will cover over 9,000 presentations on a multitude of science topics. 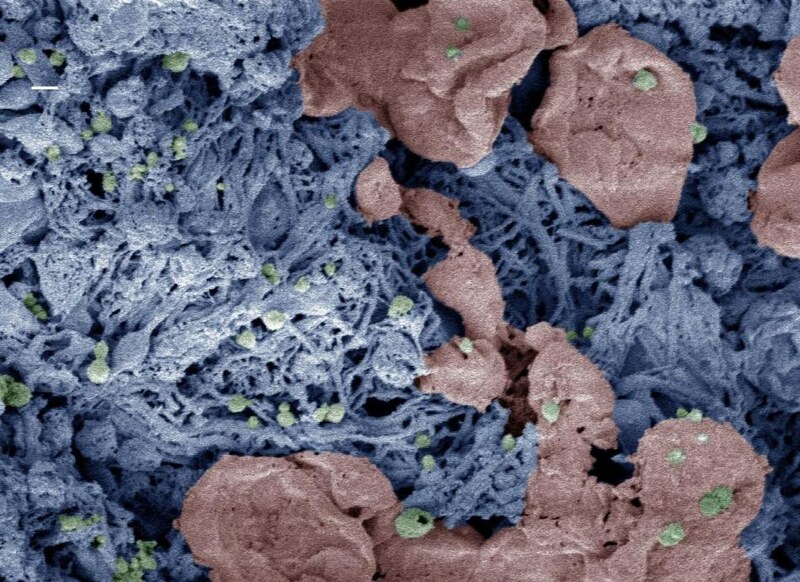 When you have uncontrolled internal bleeding, that’s when these particles could really make a difference. Compared to injuries that aren’t treated with the nanoparticles, we can cut bleeding time in half and reduce total blood loss. Trauma continues to be the highest cause of fatality in children and young adults, and doctors have limited choices to treat internal bleeding. In order to find a solution to this issue, Lavik’s team created a nanoparticle that serves as a bridge, binding to activated platelets and helping them combine together to develop clots. To achieve this, the nanoparticle is embedded with a molecule that binds to a glycoprotein found exclusively on the activated platelets. To figure out if their method would be safe in humans, they investigated the immune reaction toward the particles in pig’s blood. If an immune response is triggered, it would signify that the body is building a defense against the nanoparticle, and that there is a possibility of side effects. The newly created nanoparticles were added into the pig’s blood, and the researchers watched for an uptick in complement, a chief indicator of immune activation. The particles triggered complement in this experiment, so the team started to solve the problem. We made a battery of particles with different charges and tested to see which ones didn’t have this immune-response effect. The best ones had a neutral charge. However neutral nanoparticles possessed their own problems. The nanoparticles have the tendency to aggregate even before being injected when repulsive charge-charge interactions are not present. In order to solve this problem, the team then altered their nanoparticle storage solution by adding a slippery polymer to prevent the nanoparticles from sticking together. Lavik also created nanoparticles that are stable at temperatures ranging up to 50°C (122°F) to enable storing the particles in a hot ambulance or on a scorching battlefield. Going forward, the researchers plan to test whether the new nanoparticles activate complement in human blood. Lavik is also keen to identify additional vital safety studies that will help the research to move forward. For instance, the team has to ensure that the nanoparticles will not cause non-specific clotting, which may trigger a stroke. Lavik believes that they could create a useful clinical invention in a period of five to 10 years. Lavik received financial assistance from the National Institutes of Health and the U.S. Department of Defense.